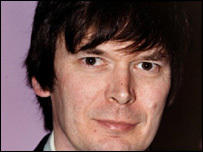 Crime writer Ian Rankin has spoken of his "great honour" to be appointed a Deputy Lieutenant of Edinburgh. The millionaire novelist has been chosen by Lord Provost Lesley Hinds to take her place during Royal visits to the city in her absence. He was appointed during a ceremony with Shaheen Unis, owner of The Spicy Food Company, and three others. Mr Rankin, whose post lasts 10 years, told BBC Scotland News website it would be "excellent" to meet the Queen. He said: "When I opened the letter with the offer from the Lord Provost I didn't even know we had Deputy Lieutenants. "It is a great honour to have been offered the role. However, I was a bit worried when I received a text message from a friend the other day saying I would have to wear a cockade. "I also hear I will be a courtier, but I know no more than this. "I have met Prince Charles before, Princess Anne and Prince Phillip but never the Queen." Cllr Hinds said unlike the original recipients, who tended to be high-ranking members of the military, she had chosen to recognise people who have made a significant contribution to life in the city. She said: "This is a fantastic opportunity to recognise hard working contributors to Edinburgh's community, business and cultural assets. "Reinvigorating an ancient tradition in this way makes the point that Edinburgh is a city that can build on its past while looking to the future. "This is the face of the 21st century." Deputy Lieutenants have been appointed in Edinburgh since 1569, and there are currently believed to be about 20, in an office held for 10 years, or until the lieutenant is 75, which ever comes first. Alongside them will be Betty Stevenson, who has worked with a wide range of local community groups, former councillor Veronica Crerar and Cllr Daphne Sleigh.